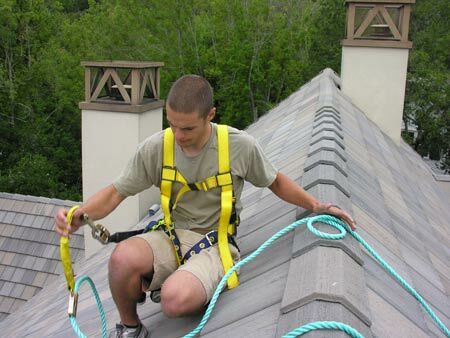 Synergy maintains all licenses and bonding requirements to do work in the State of California. The link below, to the California State Licensing Board, contains all of the current information for Synergy’s licenses, performance bond, and workmen’s compensation. In addition, Synergy maintains $1 million in general liability insurance. See Synergy’s current license status at the Contractors State License Board (CSLB). Synergy Solar & Electrical Systems, Inc. complies with all OSHA Regulations to protect you, our workers, and the environment. OSHA is a Federal Agency. As part of our commitment to our customers and our team we uphold and enforce the highest workplace health and safety rules that OSHA requires. Synergy complies with these standards so that our team understands their rights to a safe and healthy workplace and you, the customer, knows that you are protected as well. Our supervisors have onsite safety meetings for each new site in addition to monthly safety training meetings.